While the outgoing costs of setting up a preventative maintenance plan in your business may seem high, with an estimated 30% to 50% of repair and breakdown costs going into preventative maintenance, in reality these outgoings will actually give a business a 545% return on investment (Jones Lang LaSalle Study – Determining the Economic Value of Preventative Maintenance). This is a huge ROI, and definitely, makes a strong case for creating a preventative maintenance plan for your business. Once you have created an inventory of all equipment, assess each item, noting their current performance capacity, as well as the high priority assets. This will help determine the maintenance schedule, as some assets will need greater attention or will cause more issues if they breakdown, so generally these should be assessed and maintained more frequently. Ensuring that you have people across your whole business, from upper management to technicians, who are on-board, and up to speed with your maintenance plan is integral. This means that you will have a variety of people who will be keeping an eye on the maintenance of your equipment and assets, and ensuring that any issues are reported quickly. Similarly, it is important that all relevant staff are fully trained on all equipment they use. Not only will this ensure that the equipment is handled correctly, but if any problems occur, a staff member will be quicker to realise and report it. Decide what goals you have for your preventative maintenance plan. Whether it be monetary, equipment longevity or repair turnaround, set clear aims and ensure that there is a comprehensive reporting system, so all elements of your maintenance plan can be tracked easily. Spend time getting to know your equipment, whether this is reading the items’ user manual, or speaking to a professional – understanding how your equipment works, and what to look for if it starts to behave oddly, is integral in preventing a major breakdown. 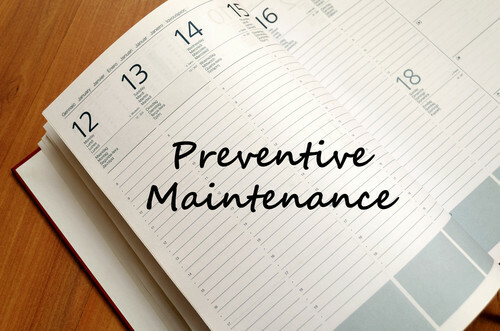 At MSL, we understand everything there is to know about setting up a comprehensive preventative maintenance plan for your business. We work with you to compile an asset register and create the right level of maintenance for your facility. To talk to us about our preventative maintenance program, or any other services we provide, please give us a call on 0333 1234450.